Editor’s note: This is part 2 of a series. You can read part 1 here. Should one start a business in Singapore purely because it is easy to do so? Surely not. Singapore is a great place for entrepreneurs because there are plenty of incentives that help businesses get a head start. The country has designed its business landscape such that it allows you to focus on attaining success without impediments, according to the World Bank’s Doing Business in Singapore report. It is very easy for businesses to obtain credit in Singapore. Singapore has strong collateral and bankruptcy laws that facilitate businesses to access credit. This is substantiated by the credit information index by the World Bank, which points to the large amount of credit information that is available in Singapore. Credit information systems are very important in the assessment of risk by the lender. In Singapore, it is paramount that the borrower possesses a good credit history that will allow easy access to credit. Singapore’s sound collateral laws also allow businesses to use their assets such as movable property as security to generate capital. The high score of the legal rights index of Singapore by the World Bank also indicate the presence of strong legal rights that borrowers and lenders possess in the country. This contributes to the accessibility of entrepreneurs to credit and impacts a direct positive correlation with higher ratios of private sector credit to GDP. If companies fail to provide adequate protection for their investors, they lose their ability to raise capital that they need for growth, innovation and diversification. Particularly, when minority shareholders lack protection from the government, they will hesitate to purchase of shares that contribute funding for companies. Therefore, effective governmental regulations are needed in promoting clear and efficient disclosure requirements. In addition, these regulations should also involve the participation of shareholders in the major decisions of the company, in order to establish high standards of accountability that confer protection for investors. Since 2009, Singapore has not budged from the top spot as the world’s most investor-friendly nation according to the Business Environment Ranking 2014 by the Economic Intelligence Unit. Specifically, Singapore stands in the highest position in the world’s investor protection index by the World Bank, after New Zealand. This is indicative of the robust protection investors receive, thanks to Singapore economy’s regulations against self-dealing. Over the years, Singapore’s economic regulations have also effectively enhanced protection for minority investors too. This is attributed to Singapore’s strong emphasis on detailed disclosure requirements, such as the mandatory disclosure of a conflict of interest, or the mandatory review of the terms of a transaction by an external body. Another factor that accounts for the strong protection for investors in Singapore is the strength of the liability regime of directors. This for instance, interprets that shareholders can sue the director for damages that a buyer-seller transaction causes to the company. 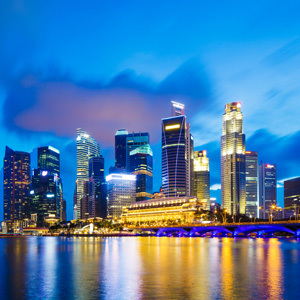 In addition, Singaporean Courts can void the transaction upon the successful claim by a shareholder plaintiff, and apply fines and imprisonment against the director of the company. All these measures indicate the emphasis on the transparency and accountability that is offered to investors in Singapore. An additional factor that illustrates the protection of investors in Singapore is the ease at which internal corporate documents are accessed by minority shareholders in Singapore before and during trial. Singapore’s well-functioning justice system and up-to-date procedural rules also allows minority shareholders to prove their case and obtain a verdict in a reasonable timeframe. The Deloitte 2014 Asia Pacific Tax Complexity Survey crowns Singapore as the best place in the world to start a business, with regards to the consistency of its tax policies. Apart from consistency, the country’s corporate tax regime was also lauded for the high predictability and low complexity. These are key requirements to stimulate business activity in a country. The World Bank states that Singapore is among the five countries in the world where it is the easiest for businesses to pay taxes. Companies on average make 5 tax payments in Singapore that amounts to 27.1% of their profit. On top of this, the Government of Singapore has eased the administrative burden of tax compliance on companies by making the payment of corporate taxes faster and easier. The simplification of tax payments entails consolidating filings, reducing the frequency of payments, and providing electronic filing and payment systems. In addition, the maximum headline corporate tax rate in Singapore is only 17%. After adding on the various tax exemptions and incentives that the country offers to local enterprises, the effective corporate tax rate of Singapore becomes even lower. All these factors mentioned above leaves little wonder why this island nation of Southeast Asia is today one of the world’s most prosperous nations to start a business. Budding entrepreneurs who wish to launch their business in the Asia-Pacific region should not have to look too far beyond Singapore’s favourable policy environment and landscape of economic competitiveness.